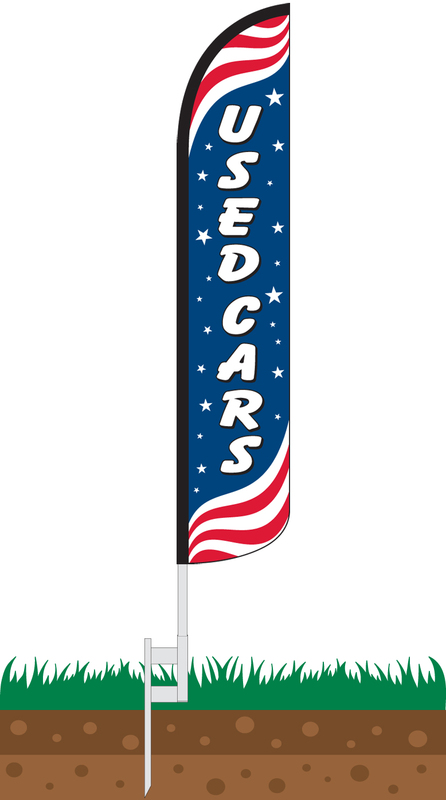 Our Used Cars Patriotic Wind-Free Feather Flag Features a blue background with a red/white striped motif on the top and bottom of the flag. Running vertically in the blue field is the text, "Used Cars," which is surrounded by white stars. 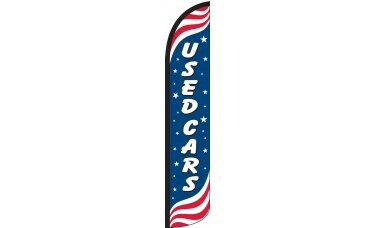 This flag features a patriotic American theme and is perfect for any used car dealership looking to attract new customers.